The Chrome Kids, Hulk Hop and Crunk Rock! It’s with great pleasure that we unleash our brand new Mixtape on your earlobes. 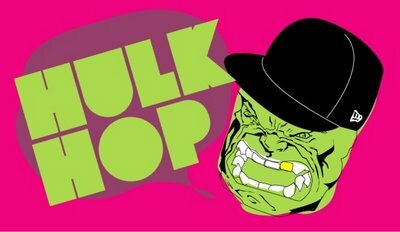 Hulk Hop Vs Crunk Rock is stacked full of the meatiest Dubstep, Grime and the kind of bass heavy digital Hip-hop which has a dozen or so tenuous genre titles such as Lazer Bass, Robo Booty, Turbo Crunk and Glitch hop. Anyone familiar with our Chrome Kids Music blog will know the deal. Grab the mix above, tracklisting and more from the Chrome Kids after the jump! If you like what you hear, don’t be shy… run over to chromekids.blogspot.com for more!